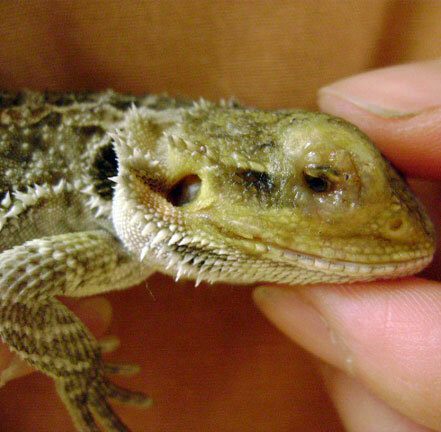 At the time of his first appointment, upon physical examination, Pancake was in good physical condition, but there was a thick, yellow coating on the skin around his right eye, on the right side of his face, and on a small area on his right front leg. It was obvious that Pancake had some sort of skin infection, but without closer inspection under the microscope it was difficult to tell whether the cause of the infection was bacterial, fungal, or some combination of the two. In order to effectively treat Pancake’s infection, we needed more information. 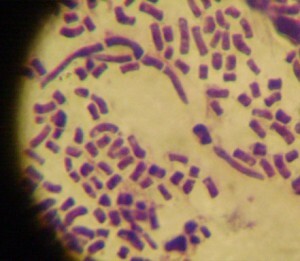 We decided to perform a test called a skin cytology. By gently scraping the diseased skin on Pancake’s face, fixing it to a slide, and staining it, we were able to study his skin under the microscope. This is a photo of what we saw. Pancake’s skin appeared to be teeming with fungal organisms, and we became suspicious of a condition called Yellow Fungus Disease. 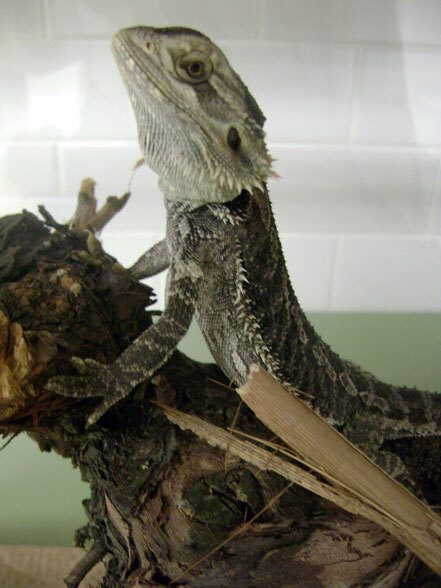 Fungal infections can be fatal in young bearded dragons so we were very worried about Pancake. He was immediately hospitalized for treatment. After many weeks of wound care, antibiotics, and antifungal medications Pancake is doing very well! Although his treatments will continue for many more weeks, he has been released from the hospital and is fat and happy with his new owner in Ithaca.